Jailani (right and his relative Ghani Merali pointing to the location where the crocodile use to laze in the sun on the river bank across Kampung Pengkalan Rejab. LIMBANG: Villagers at Kampung Pengkalan Rejab were left shell-shocked when a crocodile turned up underneath their residence on Wednesday night. The villagers who spotted the reptile at around 10pm on Wednesday theorised that the crocodile had become drawn to the area to prey on unsuspecting domesticated livestock. Is it estimated that the crocodile is about 10-feet long and is believed to responsible for snatching ducks, hens and goats in the area. Village chief Jailani Osman 56 said the presence of goats in the pen near the house may have attracted the crocodile but he suspected it may have already gobbled up two of his missing goats in the middle of last year. The previous losses including a breeder and a male goat that went missing last week. Villagers had also felt the presence of the crocodile looking for prey and its increasing brazen appearance indicated that it is getting more aggressive. “The villagers are getting worried, particularly when a 10–foot big crocodile turns up under their house,” said Jailani. During low tide, the particular crocodile has also seen lazing around the river bank near the village. 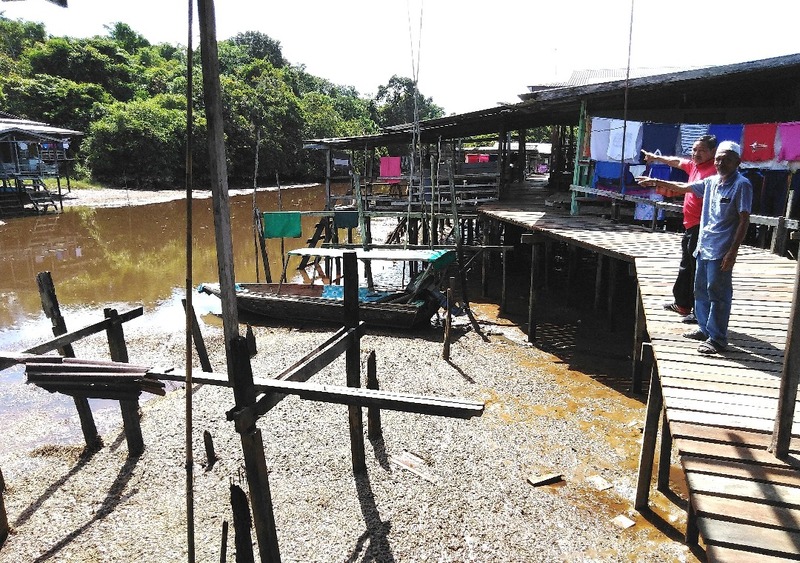 Authorities have attempted to capture the community crocodile four years ago, and Jailani is now requesting that they take further action on the situation before any unfortunate incident occurs. 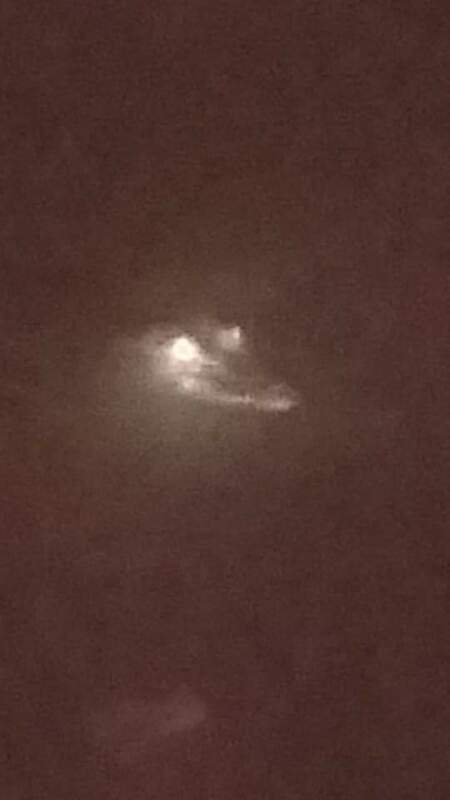 The crocodile spotted in Kampung Bukit Kota previously. Meanwhile, people in Kampung Bukit Kota also shared similar worries as they reported that they had also seen crocodiles underneath their house. “This has never happen before and this situation is worrying us and we want the authorities to act now,” they said in an interview with Utusan Borneo.